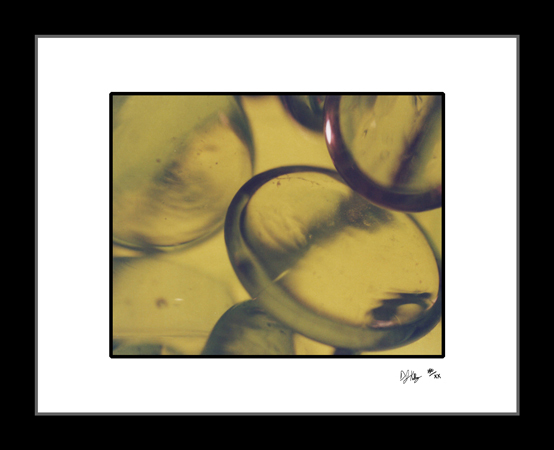 The clear marbles captured in this abstract photograph appear to be floating in some unknown green medium. The bold green appearance was created by placing translucent green material between the light and the vase. The macro photograph captures the clarity and detail of the individual marbles while leaving the viewer wondering about the unseen portion of the scene.